Not only I love fashion I love art as well. And when the two are combined together even better! That’s why I love being friends with Marcela Jurisova – the cool new artis on the block. If, like me, you feel the urge for redecorating your house in the upcomoing winter months and maybe need to inject some colour, check out her paintings, which look like pages from Vogue, only they’re all unique. 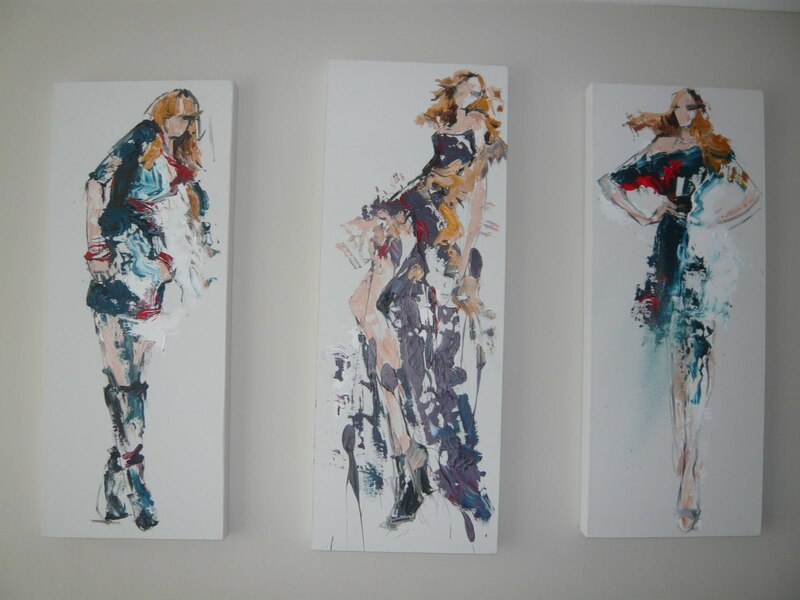 Inspired by fashion photographs, Marcela paints in a slightly abstract way. You better get them now before she gets famous and the prices will go through the roof. “I like to show movement,” the 28-year old says. They’re gonna look great on every fashionista’s wall. If you want to know more please contact me. Next Post Place to be..